March 12th 1968 will forever be a date that looms large in Jerry Lee Lewis’ memory. That was the day when he released his first country single, Another Place, Another Time. Soon, it was climbing the US Country charts, and reached number five. This was the start of a new era in Jerry Lee Lewis’ career, and marked the end of what had been a frustrating time for him. Before Jerry Lee Lewis decided to head to Nashville and reinvented himself as a country singer, his career had stalled. He couldn’t buy a hit. To make matters worse, his contract with Smash Records was almost over. He had to do something to get his career back on track. Jerry Lee Lewis was one of the great survivors of the music industry. He had been stuck behind the black ball before. However, Jerry Lee Lewis never gave up, and aways seemed to manage to rescue his career. Critics weren’t willing to bet against Jerry Lee Lewis getting back to the top again. Four years earlier, in 1964, Jerry Lee Lewis was on the comeback trail. He was still seeking redemption. Persona non gratis in his home country, Jerry Lee Lewis was trying to rebuild his tattered reputation in Europe. So, in 1964, Jerry and The Nashville Teens had agreed to appear at The Star Club, Hamburg. That night, Jerry powered his way through thirteen tracks. It was a peerless performance, which was recorded for posterity. Later in 1964, that legendary concert was released as Live at the Star Club, Hamburg. Released to critical acclaim, Live at the Star Club, Hamburg was a tantalising reminder of of what the man they called The Killer, was capable of. However, to many Americans, Jerry Lee Lewis was still persona non gratis. They never could, and never would forgive him, never mind buy his records. This presented a problem, Jerry Lee Lewis had signed to Smash Records in 1963. He regularly released rock recordings over the next four years, but they failed to find an audience. It was a far cry from the early days of his career when Jerry Lee Lewis was one of the biggest selling American artists. Something had to change. That’s when Jerry Lee Lewis decided to reinvent himself as a country singer. This was a masterstroke, and resulted in the man they called The Killer beginning his climb to the top. Soon, Jerry Lee Lewis was hot property again. So much so, that in 1969, Shelby Singleton, his former producer at Smash Records, went so far as to purchase Sun Records from Sam Phillips. The big attraction was Jerry Lee Lewis’ country recordings. Over the next few years, three or four Jerry Lee Lewis albums were repackaged. Many unsuspecting record buyers thinking that the albums were new releases, bought them. Little did they know, that Jerry Lee Lewis had recorded them years before, when his career was in the doldrums. Not any more. By 1970, Jerry Lee Lewis was signed to Mercury Records. He was well on the way to becoming one of their most prized assets. The Killer was back, and well on his way to becoming a country music icon. His redemption may not be complete in the eyes of many Americans, but Jerry Lee Lewis was about to enjoy one of the most successful periods of his career. Between 1970 and 1973, Jerry Lee Lewis’ popularity soared. He was one of the biggest selling country artists. He enjoyed fourteen top twenty US Billboard Country singles, including four number ones. That was just the tip of the iceberg. 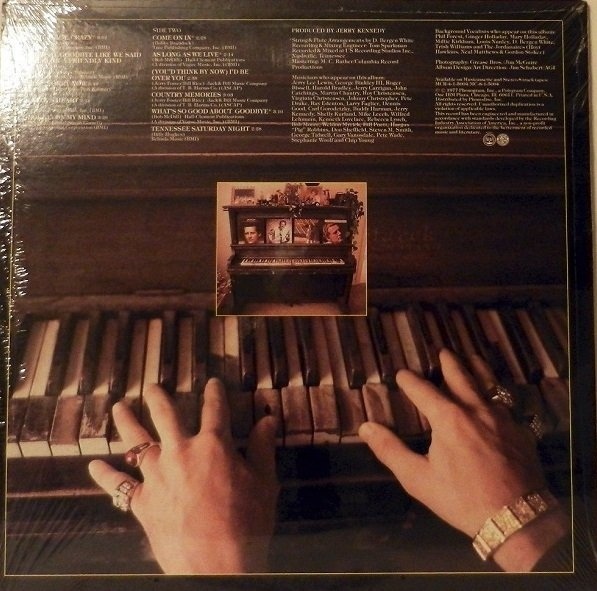 Eleven of Jerry Lee Lewis’ albums reached the top twenty in the US Billboard Country charts. Eight of these albums charted in the US Billboard 200. It looked like Jerry Lee Lewis going to be an ever-present at the top of the country charts. 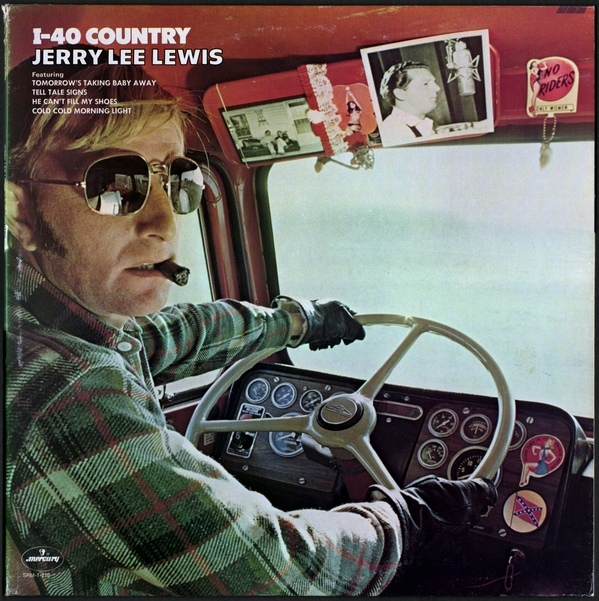 That was until 1974, when Jerry Lee Lewis released the album I-40 Country. It wasn’t well received by critics, and stalled at number twenty-five in the US Billboard Country charts. Those that seemed desperate for Jerry Lee Lewis to fail, forecast that his career was about to stall. However, the two singles released from I-40 Country reached the top twenty in the US Billboard Country charts. Tell Tale Signs reached eighteen and He Can’t Fill My Shoes number eight. Given the success of the singles, maybe the ‘lowly’ chart position of I-40 Country was a mere hiccup? That’s what it looked like. 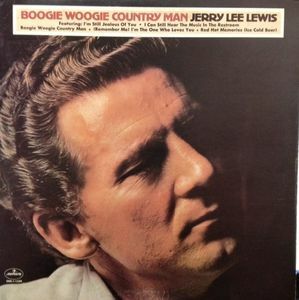 When Jerry Lee Lewis released Boogie Woogie Country Man in 1975, it reached number sixteen on the US Billboard Country charts. The lead single from Boogie Woogie Country Man, I Can Still Hear The Music In The Restroom, reached number thirteen in the US Billboard Country charts. However, when the title-track was released as a single, it reached just twenty-four in the US Billboard Country charts. While this wasn’t disastrous, it was enough to worry executives at Mercury Records. Jerry Lee Lewis’ last two albums hadn’t reached the top ten in the US Billboard Country charts. After six consecutive top ten albums, executives at Mercury Records couldn’t ignore the commercial failure of I-40 Country and Boogie Woogie Country Man. After all, Jerry Lee Lewis had been one of Mercury Records’ success stories. He was one of the biggest selling country artists of the late-sixties and early seventies. Surely, this wasn’t the end of another chapter in Jerry Lee Lewis’ career? 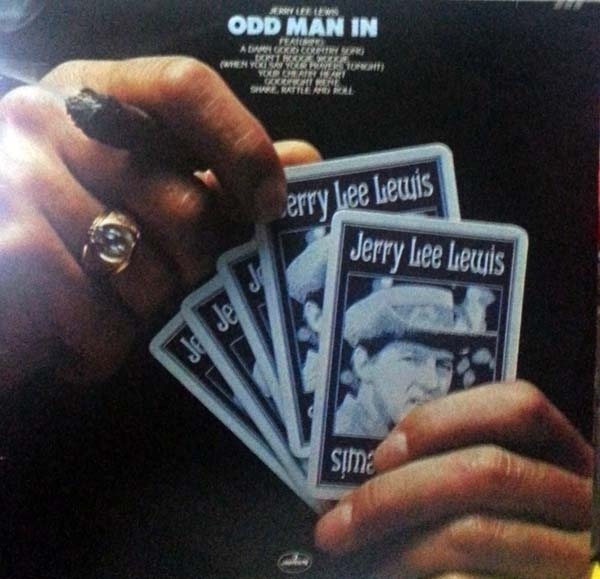 Later in 1975, Jerry Lee Lewis released Odd Man In, an album of cover versions. Shake, Rattle and Roll, Leadbelly’s Goodnight Irene, Crawdad Song and Hank Williams’ Your Cheatin’ Heart were some of the songs Jerry Lee Lewis had chosen to cover. They were recorded in Nashville with producer Jerry Kennedy and a crack band of session musicians and backing vocalists. Their addition was to sweeten the sound of Jerry Lee Lewis’ vocal. When Jerry Lee Lewis had arrived at the studio, it was apparent his voice wasn’t in good shape. Some onlookers feared his vocal was shot. It seemed that years of hard living had caught up with The Killer. Once the album was recorded, executives at Mercury Records held their breath as Odd Man In was released. Just like Boogie Woogie Country, Odd Man In wasn’t well received by critics. Record buyers didn’t rush out to buy Odd Man In. It stalled at just thirty-three on the US Billboard Country charts. This was the worst chart placing since Country Songs for City Folks in 1965. To rub salt into the wound, even the singles bombed. A Damn Good Country Song reached a lowly sixty-eight in the US Billboard Country charts. Don’t Boogie Woogie fared slightly better, reaching fifty-eight in the US Billboard Country charts. For Jerry Lee Lewis, this was a disaster. After three albums that hadn’t sold well, Jerry Lee Lewis’ career was at the crossroads. It was crucial that his next album was a commercial success. So in December 1975, Jerry Lee Lewis went into the studio to record most of his next album Country Class. It’s been paired with the followup Country Memories, for a reissue on the one disc by BGO Records on 19th February 2016. 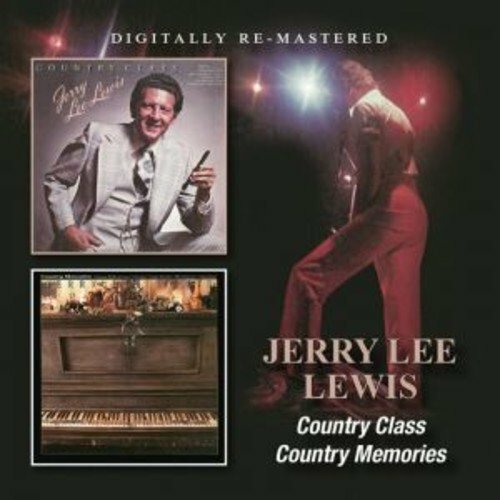 With Country Class and Country Memories feature another comeback from Jerry Lee Lewis? In December 1975, Jerry Lee Lewis began to work on the followup to Odd Man In. It was hoped that things would improve for Jerry Lee Lewis. Since he recorded Odd Man In, he had undergone an operation on his sinuses. No longer would Jerry Lee Lewis have to rerecord vocals. Nor would there be complaints about the standard of his vocals. For The Killer, it was hopefully, a new beginning. For this new beginning, Jerry Lee Lewis returned to the music of his roots, and decided to cover songs made famous by some of the greats of country music. This included three songs synonymous with Hank Williams. They were Mel Foree and Fred Rose’s No One Will Ever Know; Old Country Church and Claude Boone’s Wedding Bells. Another country standard was The One Rose (That’s Left in My Hand). It had been recorded by many artists, but Jerry Lee Lewis wanted to pay homage to Gene Autry and Jimmie Rodgers’ versions. These country standards were joined by a trio of tracks penned by Jerry Foster and Bill Rice. They contributed Let’s Put It Back Together Again, After the Fool You’ve Made of Me and Jerry Lee’s Rock and Roll Revival Show. The other tracks chosen for Country Class were Mack Vickery’s I Sure Miss Those Good Old Times; Bob McDill’s Closest Thing to You; After The Fool You’ve Made Of Me and Only Love Can Get You in My Door. These songs would recorded in the country music capital, Nashville, Tennessee. Recording of Country Class took place at US Recording Studios, Inc, Nashville. This time around, two producers were used. Charles Fach recorded three tracks, and Jerry Kennedy the other eight. Cam Mullins was drafted in to arrange the strings and horns on three tracks. Along with a crack band of session players, everything was in place for Jerry Lee Lewis’ comeback. Many of the songs were cut during the December 1975 sessions. However, Jerry Lee Lewis had to return to the studio in May 1976. Soon, ten songs were completed. The finishing touch was another cover of a song from country music’s past, You Belong To me. It was penned by Pee Wee King, Chilton Price and Redd Stewart, and had been recorded in 1969. Somewhat belatedly, it was about to make its debut on Country Class. 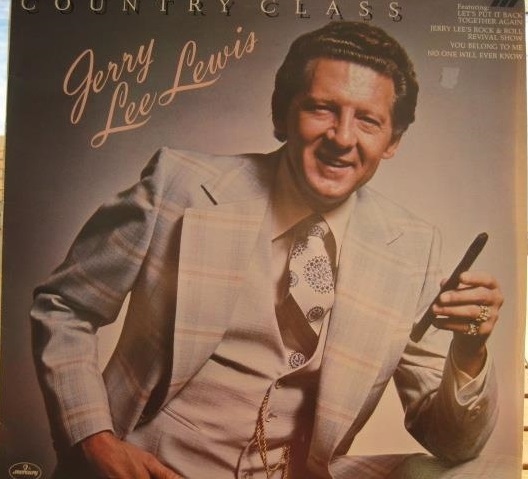 When Country Class was released, critics called the album a return to form from Jerry Lee Lewis. Some critics pointed at the noticeable improvement in the quality of his vocals. Critics who said Jerry Lee Lewis’ vocal was shot were wrong. The operation to Jerry Lee Lewis’ sinuses had improved his vocal no end. He delivered some of his best vocals of recent years. Especially on Country Class’ ballads. Heartfelt, emotive, soulful and impassioned, described his delivery. What also helped that Jerry Lee Lewis had the right material to cover. Jerry Lee’s Rock and Roll Revival Show, sees The Killer kick loose on what’s a slice of good time music. This was the perfect showcase for Jerry Lee Lewis’ piano playing skills. It features a musical masterclass from The Killer. By then, it was obvious that Jerry Lee Lewis was back on form. However, would record buyers agree? After three disappointing albums, the big question was, would record buyers stay true to Jerry Lee Lewis? Fortunately, for Jerry Lee Lewis his fans gave their hero one more chance, and Country Class reached number sixteen in the US Billboard Country charts. While this was a far cry from his glory days, it was a vast improvement on Odd Man In. So were the singles. Let’s Put It Back Together Again reached number six in the US Billboard Country charts. This was Jerry Lee Lewis’ most successful single since Sometimes a Memory Ain’t Enough in 1973. The followup single, The Closest Thing to You didn’t fare as well, and stalled at just twenty-seven on the US Billboard Country charts. Despite this, it was a vast improvement on the singles released from Odd Man In. Things were looking good for Jerry Lee Lewis, as his latest comeback continued. That was until September 29th 1976. Butch Owens, Jerry Lee Lewis’ bass player was celebrating his forty-first birthday. Everything was going fine until Jerry Lee Lewis began fooling with a Colt .357. Suddenly, the gun accidentally went off in his hand, and in the process, nearly killed Butch Owens. Luckily, the bassist survived. However, less than two months later, Jerry Lee Lewis had another controversial encounter with a gun. On 23rd November 1976, Jerry Lee Lewis was in Vapors nightclub, Memphis. He had spent much of the day trying to bail his father out of jail, on a drink-driving charge. By the evening Jerry Lee Lewis was drinking champagne in Vapors. By the time someone handed him a gun, Jerry Lee Lewis was drunk. It was then that he remembered that Elvis Presley wanted him to visit Graceland. So Jerry Lee Lewis left Vapors, and climbed into his Lincoln Continental. As he drove off, his pistol sat on the dashboard and he had a bottle of champagne under his arm. With Jerry Lee Lewis at the wheel, the Lincoln Continental raced off, and when it reached Graceland at 3am, crashed into the gates. Manning the gate that night, was Elvis Presley’s cousin Harold Lloyd. Jerry Lee Lewis climbed out the car carrying the bottle of champagne. Then for some reason, The Killer decided to hurl the bottle through the car window. The only problem was, the window was shut. Meanwhile, an alarmed Elvis Presley watched all this play out. Eventually, he told the Graceland guards to call the police. When the police arrived, and realised that it was Jerry Lee Lewis who had crashed into Graceland’s gates, they asked ‘The King’ what they should do? His reply was “lock him up.” This seemed strange as Jerry Lee Lewis was a friend of Elvis Presley. He watched as Jerry Lee Lewis was arrested, cuffed and taken to the police station. It was there that things went from bad to worse. Jerry Lee Lewis was charged not just with public drunkenness, but with carrying. Eventually, he was released on a $250 bond. By the following day, newspapers were carrying the story of Jerry Lee Lewis’ arrest. It was the latest controversy in The Killer’s career. Just as things were going so well. How would this affect Jerry Lee Lewis’ comeback? After the Graceland controversy, Jerry Lee Lewis seemed to be lying low. There was no sign of him beginning work on the followup to Country Class during the first half of 1977. I entered the studio since May 1976. It wasn’t until the 3rd of August 1977, Jerry Lee Lewis began recording what became Country Memories. By then, an era was about to end. Jerry Kennedy had been Jerry Lee Lewis’ producer for many years. They had been working together since 1963, and had played a part in Jerry Lee Lewis’ two comebacks. However, their final album together would be Country Memories. For Country Memories, Jerry Lee Lewis had chosen eleven tracks. This included the classics Georgia on My Mind and Who’s Sorry Now. One of The Killer’s favourite songwriting teams seemed to be Jerry Foster and Bill Rice. They contributed (You’d Think By Now) I’d Be Over You and the title-track. The others songs were a mixture of old, blue and new songs. One of the new songs was Sonny Throckmorton’s Middle Age Crazy. Other tracks included Jimmie Skinner and Ernest Tubbs’ Let’s Say Goodbye Like We Said Hello; Jenny Carson’s Jealous Heart; Bobby Braddock’s Come on In; Dorsey Burnette’s As Long as I Live; Bob McDill’s What’s So Good About Goodbye and Billy Hughes’ Tennessee Saturday Night. These tracks would be recorded in Nashville, over two days. The recording began on the 3rd of August 1977, and by the 4th of August, the eleven tracks had been cut. 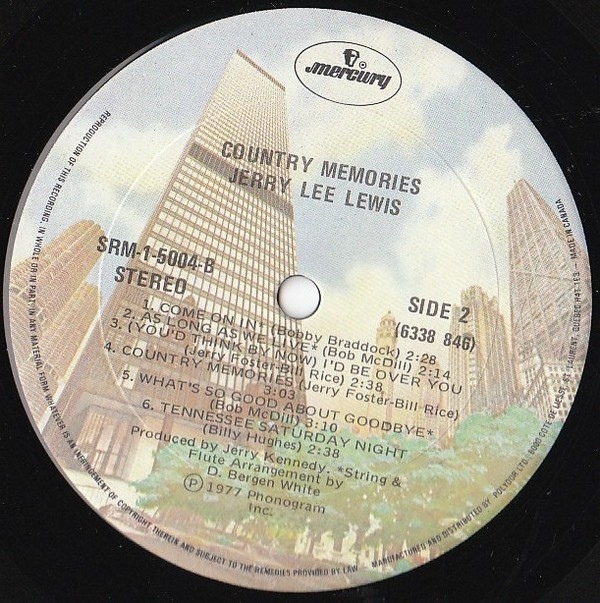 Country Memories was the quickest album that Jerry Lee Lewis had recorded in recent years. Would this affect the reviews of Country Memories? That wasn’t the case. 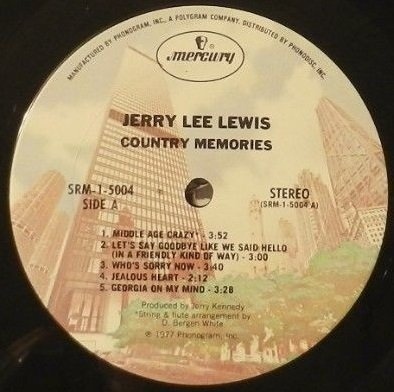 When reviews of Country Memories were published in November 1977, critics were won over by Jerry Lee Lewis’ latest album. Billboard called the music “smooth and spirited.” It was the critic said a “potent collection” containing “a rock number to classic steel and fiddle tunes and country ballads.” This described what was a polished collection from the comeback King. Throughout Country Memories, Jerry Lee Lewis seems back to his best. His vocal is fully recovered, and is more reminiscent of the early years of his country career. Jerry Lee Lewis’ vocals are much more considered, and bring something new to oft covered classics like Georgia On Mind and Whose Sorry Now. His reading of the Jenny Carson penned Jealous Heart oozes emotion. So does (You’d Think By Now) I’d Be Over You which features a wistful, heartbroken vocal from The Killer. Let’s Say Goodbye Like We Said Hello manages to be both hopeful and hurt-filled. However, one of the most successful and indeed poignant songs from Country Memories was the Sonny Throckmorton penned Middle Age Crazy. Rather than featuring The Killer on piano, Middle Age Crazy features the legendary blind session player Hargus “Pig” Robbins. He laid down his part before Jerry Lee Lewis arrived at the studio. When he arrived, The Killer wasn’t looking wasn’t looking well. Despite that, he laid down the song about a man wanting to live forever. However, not long after this, Jerry Lee Lewis was admitted to hospital for the first, but not the last time. It seemed like three decades of hard living and making music were catching up on him. Over the years, The Killer was regarded as one of the hardest living men in music. He drank, smoked cigars and popped pills. This caught up on him. By the time Country Memories was released, Jerry Lee Lewis suffered from stomach tears and ulcers which had began to bleed. It seemed Jerry Lee Lewis’ stomach was just one drink or pill away from haemorrhaging. To make matters worse, Jerry Lee Lewis was becoming hoarse. All the years of constant touring were taking their toll. However, when Country Memories was released, there was no sign of this. When Country Memories was released in late 1977, it reached number twenty-one in the Billboard Country charts. While the album wasn’t as successful as Country Class, the singles were. Middle Age Crazy was chosen as the lead single, and reached number four in the Billboard Country charts. This was Jerry Lee Lewis most successful single, since his number one single Chantilly Lace in 1972. Come On In was chosen as the followup to Middle Age Crazy, and reached number ten in the Billboard Country charts. For Jerry Lee Lewis two top ten singles and a top thirty album meant that the comeback continued. Those that written Jerry Lee Lewis off, realised they do so at their peril. The Killer had been down and out before, but twice had made a comeback. Country Class was the start of the third comeback of his career. 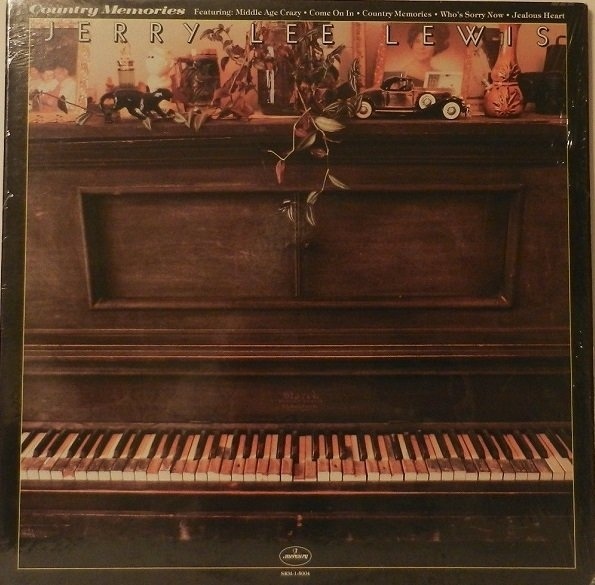 It continued on Country Memories, which was the final album Jerry Kennedy produced for Jerry Lee Lewis. The veteran producer had bowed out in style. He had produced two critically acclaimed albums, Country Class and Country Memories, which have been remastered, and will be reissued on one CD by BGO Records on 19th February 2016. These two albums feature Jerry Lee Lewis, the comeback King as he rolls back the years. Still Jerry Lee Lewis was one of country music’s hottest properties. Country Class and Country Memories recused the career of the one time rock ’n’ roller turned country singer. Jerry Lee Lewis seemed to have nine musical lives, and despite a controversial and sometimes chaotic private life, continued to produce albums of the quality of Country Class and Country Memories. ← SAINT ETIENNE PRESENT SONGS FOR THE CARNEGIE DELI.